Sensory Storytime engages children through movement, music, stories, sensory activities, and play. 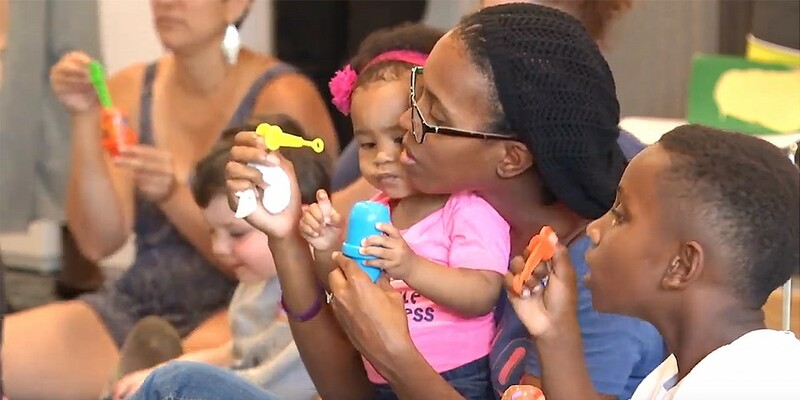 It is a welcoming storytime for families who prefer a library program that is little more adaptive and supportive, perfect for kiddos who are on the autism spectrum or want an environment that is slower-paced. An early intervention professional will assist. Join us at Varina and Glen Allen libraries! Sensory Storytime does not occur during Storytime Break.